“The capital to finance the Industrial Revolution in India instead went into financing the Industrial Revolution in Britain”. The material prosperity of Britain after the Second World War, had left India as an economically poor consumer of British Textiles products. 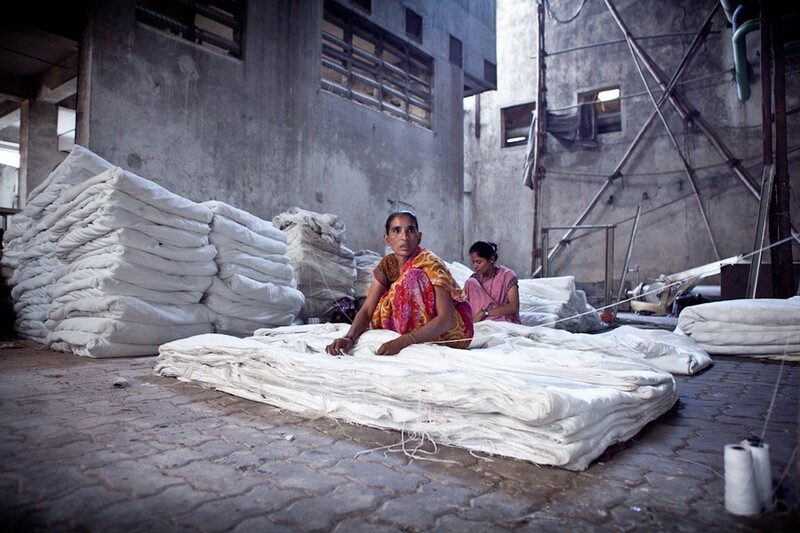 The Indian subcontinent was no longer able to supply cotton goods to Europe, as it became a victim to competition, innovation and Imperialism, so any production that took place in the country was solely for local consumption. Following 60 years of independence from Britain, India has been reaffirming it’s global position as a leading supplier of textiles products. 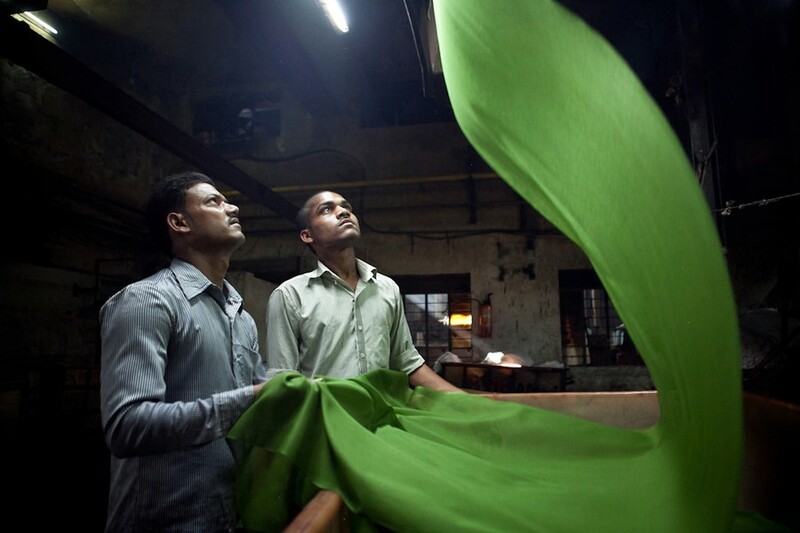 However, after several years of consistent increase in growth and profits, India’s textile industry is currently suffering under the global economic crisis. Textiles is currently India’s second largest industry after agriculture and provides direct employment to about 35 million people. 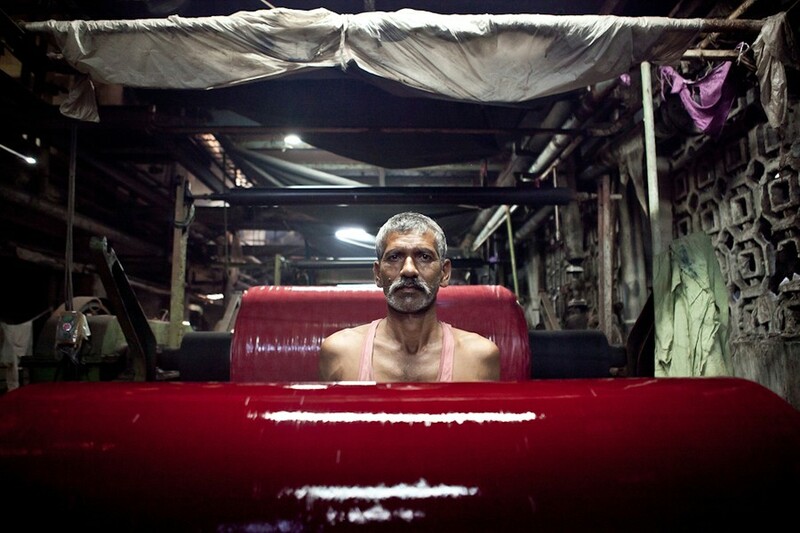 Many workers come from poorer Indian states, in search of employment. 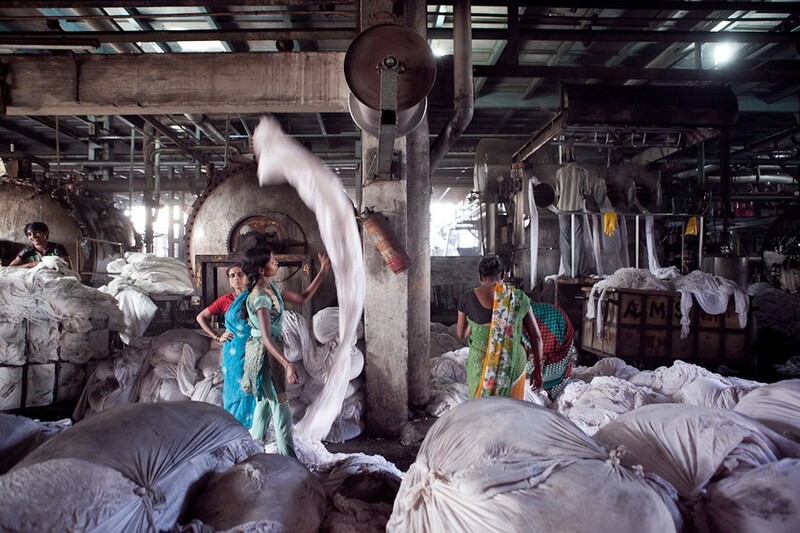 In Gujarat, almost half of factory owners said their units are utilising only 50 to 60 per cent of production capacity due to labour shortages. Religious festivals and other social occasions are the main cause of absenteeism. Factory owners complain about the difficulty of finding a reliable workforce and are struggling to meet sales targets, due to the emergence of new job opportunities. Workers are moving away from labour-intensive, low-waged work to better-paid jobs. I was born in Britain, whilst both of my parents were born in India. My work is retrospective of experiences of growing up in an affluent country, since my parents had known rural poverty during their childhood in India. I am interested in the environment they knew as children and reasons that influenced my father’s decision to migrate to unfamiliar, often hostile territory in 1969. Kajal Nisha Patel is a self taught Photographer, based in the UK. She has won and been shortlisted for numerous awards and prizes for her work and was recently selected as a Magenta Flash Forward 2013 winner. Kajal has exhibited in the UK and internationally including The Whitechapel Gallery in London, The National Museum of Singapore, and at The Chiang Mai Documentary Arts Festival. Her work was also featured at the 2013 TEDx AshokaU exchange in San Diego. 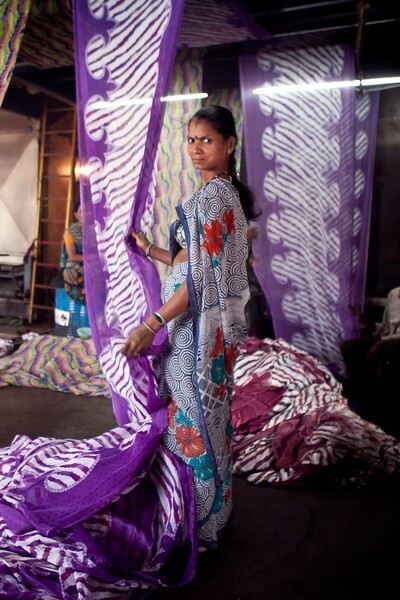 Kajal was recently selected as an international finalist for the Asian Women Photographer’s Showcase, for her work about the Indian textiles industry. This project was also exhibited at the prestigious FORMAT13 in the Midlands, UK. Her work has been published by The BBC; World News Asia, The Guardian, The Economist and The Daily Telegraph.